Everton vs Chelsea predictions for Sunday’s Premier League clash at Goodison Park. Chelsea hope to push their way back into the Premier League top four when they visit Everton on Sunday. Read on for all our free predictions and betting tips. Everton’s dismay continued last weekend as their defensive frailties were once again the highlight of the occasion. They visited Newcastle, and despite going 2-0 up in the first half, they completely fell apart in the closing stages of the game conceding three goals in 20 minutes to lose at St James’ Park. 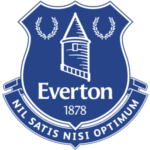 This was a stark contrast to their stalwart display against Merseyside rivals Liverpool the week before, but the Toffees’ fans have hardly been strangers to defensive collapses under Marco Silva. Their attacking play is often pleasing to watch, but results at Everton simply haven’t been up to standard. They have won just four of their last 17 Premier League matches and find themselves in a mediocre 11th place in the table. They are now seven points adrift of 7th place Wolves, so it’s looking increasingly unlikely that they can shoulder their way back into continental action next season. Chelsea aren’t having the best time either. Maurizio Sarri looked the real deal when he arrived in the Premier League this summer, but six months on he often cuts a dejected and frustrated figure on the touchline. The Blues could only manage a last gasp equaliser at home to Wolves last weekend, and despite doing well in the Europa League, they have only won three of their last seven league matches. 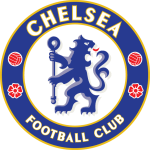 This run includes some of the darkest times for Sarri, with a 6-0 demolition at Manchester City coming shortly after a 4-0 thrashing at Bournemouth. Away from home they have lost five of their last nine games, although they did manage to get back on winning terms against Fulham in their last trip away. Defensively, Chelsea have been torrid away from home recently. They have conceded 20 goals in their last nine trips away in the league, keeping just a single clean sheet. Unsurprisingly, this has yielded a good number of high scoring games, with nine of their last 11 league away games seeing at least three goals scored. Everton, meanwhile, have seen just under half of their Premier League home games this season have at least three goals scored, so we think backing Over 2.5 Goals along with a 2-2 correct score prediction looks the best bet here. Chelsea are unbeaten in two away Premier League visits to Everton (W1 D1); they haven’t managed three without defeat since a run of eight between 2001 and 2008. Chelsea have lost three of their last seven Premier League games (W3 D1), as many as they had in their first 22 this season (W14 D5 L3). Everton’s last seven Premier League goals at Goodison Park have been scored by different players. Marco Silva has taken just three points in his last 12 Premier League games against the ‘big six’ (W0 D3 L9) since a 2-1 win with Watford against Arsenal in October 2017.